One of the most commonly mentioned anecdotes regarding Quick Service Restaurants is that almost 50% close within the first year of operations. This factoid has not been proven, but people who work in the sector know that location is one of the key factors that impacts success. The partnership will add breadth to the ‘local connection’ and brand positioning to resonate with tech-savvy diners. The Group builds on the success of a pilot exercise undertaken in 2016 where select hotels in India had their restaurants and bars promoted on the platform. This initiative is the first-of-its-kind for TripAdvisor in India where the site’s global community will now be able to access the latest in restaurant information when travelling in India, and make a booking by clicking on the ‘Reserve’ tab, both powered by EazyDiner. Shahrom Oshtori, Director of Food and Beverage, Sofitel Mumbai BKC speaks to BW Hotelier on his strategy when it comes to food festivals and introducing the city to unique flavours. The Academy of Pastry Arts India is inspired by the ‘Make in India’ campaign with a focus on providing a well-designed pastry programme which aims at nurture budding pastry chefs and entrepreneurs. For the chef, home is where the heart is, as he sets up his first outlet in India, after successful ventures in Singapore and the US. Sandeep Singh, Shangri-La's Eros Hotel's new Director of Food and Beverage spoke to BW Hotelier about the challenges of his new position and how he planned to tackle them. The Shangri-La's Eros Hotel in New Delhi brings a dim sum lunch offering that puts others to shame for quality and value for money. 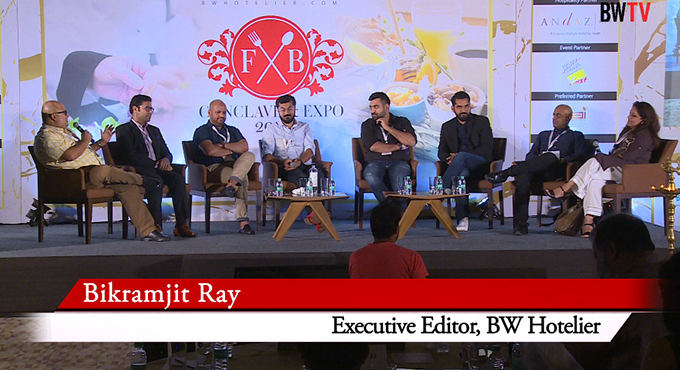 We spoke with Executive Chef Neeraj Tyagi about how he fine tunes his F&B offerings for the customer of today. Rohit Srivastava, Hyatt Regency Delhi's new Director of F&B speaks to BW Hotelier about the challenges of his job and how the year is shaping up, sharing his philosophy, which he hopes will bring more success to his hotel's already prominent F&B offerings.